As a pediatric occupational therapist working with children of all ages, I see all developmental levels and no age group is more diverse than the five-year-old. Five-year-olds entering into kindergarten come from a large variety of backgrounds. Some have been in daycare or preschools for years before starting kindergarten, using finger paint, scissors, crayons, learning how to sit on the carpet for story time, learning how to walk quietly in a line down the hallway, learning to wait their turn for a toy during play time. Others come from very enriched home environments where parents practice ABC’s, writing names, memorizing addresses and tying shoes, while a small group come with very little preparation, having never held a pair of scissors or even a crayon. I have seen children start kindergarten not knowing their last name. Some school districts present parents with huge packets of information and activities to prepare the budding kindergartener. Some schools hold assessments, information sessions, and on-line tutorials, while other districts provide no pre-kindergarten information at all. It is never too early to start working on kindergarten-ready skills. 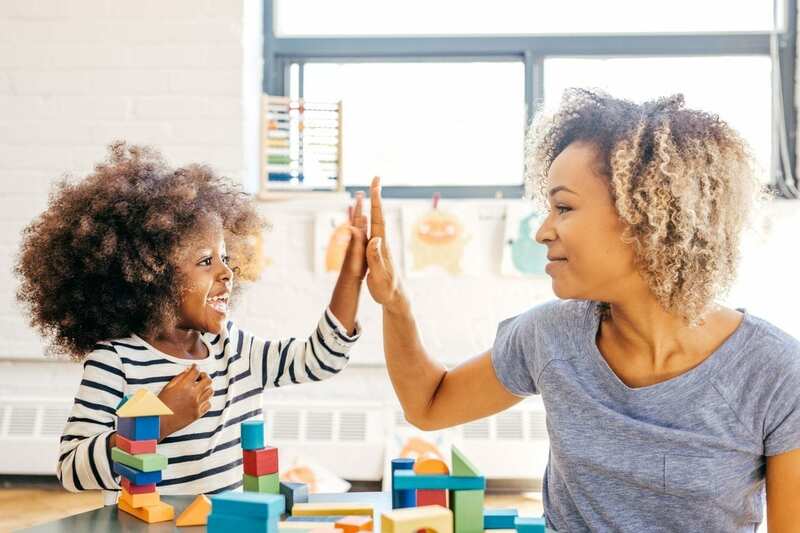 Here are some universal skills that kindergarten teachers will expect your little scholars to be prepared with when they walk through the door on the first day of kindergarten. Point out letters in books and on signs. Use a highlighter to highlight letters on cereal boxes or in magazines. Designate a letter of the day. Point out letters on license plates. Trace letters in hair gel, in the bath tub in shaving cream, write with sidewalk chalk and with a paint brush in water on the sidewalk. Learn large to small and with their hands first. Make letters out of blocks, uncooked spaghetti, and strips of paper. Write letters in a sand tray. Make an alphabet book with each page as a letter. Cut pictures out of magazines for each letter. Ask your child to put a book on top of her head, under her feet, on the chair, beside the chair. This is important for spatial skills and directionality. Designate a color day, wear that color, look for that color, make that color of food, etc. Put construction paper on the floor in 4 different colors and have your child go around the house and find small items that match the color to put them on the piece of construction paper. Use colored paint, finger paint, sidewalk chalk, and play dough. Hold book appropriately, turn pages and look at pictures and some words to get an idea of the story. To help your child learn these skills, read to your child, encourage conversation, ask about their day, at dinner ask best and worst and funniest thing that happened all day. Sing songs, nursery rhymes, and finger plays. Ask your child to articulate things, such as what are his three favorite things about himself, and why? If he mispronounces words, gently correct articulation. Count from 1-20 in order. Put written numerals in order from 1-10. Draw a line, a circle, an x and a +. Counting with one-to-one correspondence is the foundation for early math skills, but this can be difficult for kids to coordinate. There are tons of opportunities to count: toys, cars, french fries . . .
See the number 3 and understand this means 3 objects. Add and subtract familiar objects, such as cheerios. Put 3 pictures in order by sequence: Planting flower seed, flower growing, picking flower. Think about sorting while putting toys away, putting silverware in the drawer, help with laundry, sort socks, ask him to put all the green matchbox cars on one side and red on the other during play. Practice these skills early and often. Praise your child for his independence. Run, jump, hop on one foot with ease. Balance on one foot with hands on hips for 10 seconds. Stand on tip toes for 8 seconds. Do at least 5 sit-ups. Skip for at least 10 steps. Play sports in the back yard, work with large balls, then smaller, encourage climbing and pushing and pulling things to build strength. Yoga is great for building core strength. Act out animals for full body movement. Old fashion obstacle courses and wheelbarrow races are also great practice for gross motor skills. Hold pencil and crayon with tripod (three finger) grasp. Draw circle, triangle, rectangle and cross. Practice two-handed activities such as lacing cards, hole punch, stringing beads, stencils, pegboards, tearing paper, twist ties, pipe cleaners, clothes pins, zip lock bags, and eye droppers. Some great hand strengthening activities include play dough, clay, screwing and unscrewing nuts and bolts off screws, using clothespins, paperclips and legos. For scissor skills, start cutting strips of cardboard, then straws, then paper, then shapes. Play with blocks, leggos, duplo blocks, pick up sticks, and lincoln logs. You can also play with your child with puzzles, play the piano or another instrument, use the computer keyboard, squirt bottles, and sock puppets. Appropriately resolves conflicts with playmates. Expresses ideas through pictures she draws. Says “Please” and “Thank you”. Demonstrates happiness and sadness appropriately. Spend time at the playground with other children or set up play dates. Play simple board games with your child that require taking turns. Talk about feelings in books, movies or TV shows, model and roleplay scenarios of sharing and greeting others. In addition to working on these particular skills, give your children tons of new experiences, make reading a part of every day, point out letters and numbers in their every-day world, set up play dates and encourage independence in as many ways as possible and remember kindergarten readiness starts at birth, not the month before the big yellow bus pulls up to the house. Skills build on skills and just by talking to your newborn, you are beginning to lay the foundation!